Praia da Afife is also called Praia da Arda, Praia do Bico or Praia da Mariana and it is one of the most famous surf spots in the north region of Portugal. Afife is a village between Viana do Castelo and the border of Portugal and Spain and become very popular between surfers. The surfers call this beach as Arda, Bico or Mariana beach according to the local restaurant Mariana. Praia da Arda has a heavy beach break with right and left waves. Afife provides you variety of waves all year long, so there is no much space to get bored just with one type of waves. Take care of strong rips when the swell is up. Surf in Arda is more suitable for intermediate experienced surfers and not that great for surfing beginners. For starting with surfing Peniche is the place you want to taste the water. 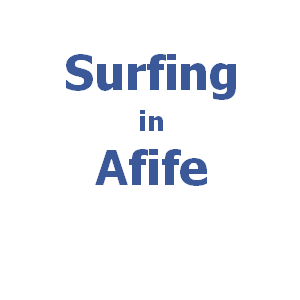 The best conditions for surfing in Afife are considered to be with east wind and west swell. Surf’s up at all tides, but low tide might be the best quality. Check weather forecast before planning your surf trip to Afife.